1. World history and geography CAN be fun. When I was growing up, I was never really good at geography and probably mediocre at world history. Now that we’re doing so much traveling, I can actually relate different places to experiences and mental images. The lessons I learned in school make so much more sense now that I can picture where major events happened and how people lived generations ago. I can even point to places on a map that previously I might never have thought or heard of (ie. the country of Andorra). 2. It takes guts to move to a different country. When people learned we were going to be moving around the world for a couple of years, many expressed how jealous they were. A few also mentioned, though they were envious, they could never do it themselves. And that’s the truth. In the U.S. only 35 percent of people have passports (source: Newsweek—side note: this is an interesting read about what may be stopping some U.S. citizens from considering stints overseas). Moving to a different country, especially one where you don’t speak the language, is scary. But it’s also exhilarating and eye-opening and worth all the language confusion and accidental social faux pas. 3. If you spend money on nothing else, spend it on experiences. Living in France, we are very lucky because we are within driving distance or a short, cheap flight of numerous other countries. 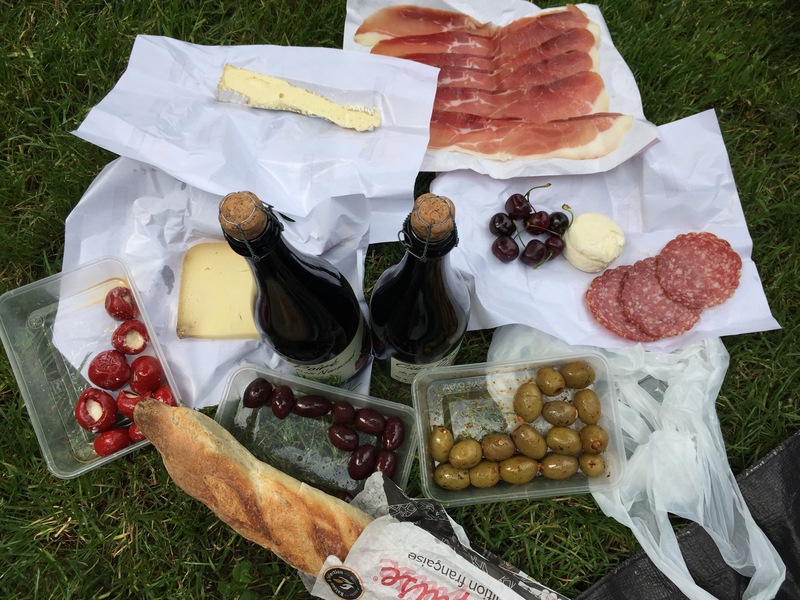 In our first five weeks of residency, we’ve visited three other countries outside of France and have plans to go to more in the coming months. 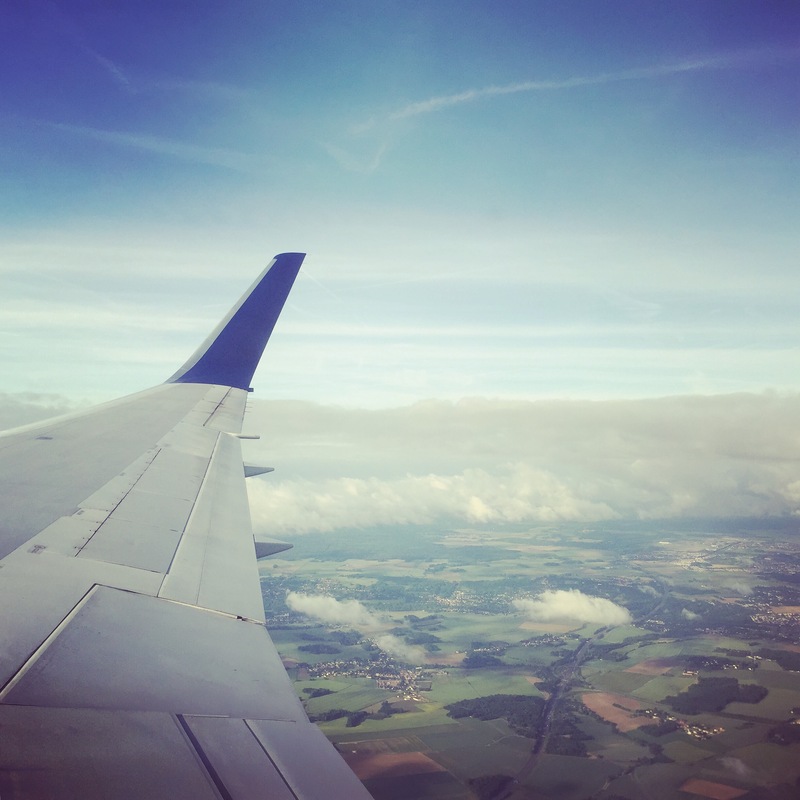 While we may be budgeting (and spending) a lot more on travel than we have in the past, we know there’s no price you can put on seeing and doing things you might never get a chance to otherwise. 4. Patience is key to survival. Different countries have different customs and social norms and sometimes they might seem odd or even rude based on what you are used to. For example, in France it is not as common for people to pick up after their dogs, so you spend a lot of time scanning the ground and dodging piles of poop. Resist the urge to shout, “merde!” A little bit of patience (and willingness to understand) can go a long way. 6. Also, languages do not come to you overnight. I had a fantasy that I would move to France and magically absorb and be speaking fluent France in about a month. While I’m definitely improving, it’s taking a lot of practice and active listening to make progress and—and that progress typically comes in fits and spurts. 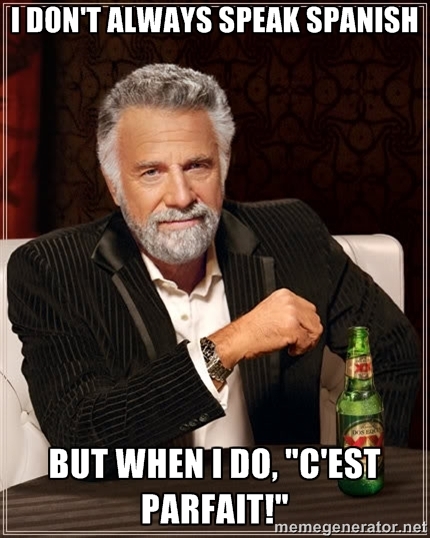 Almost two months in, though, I do find my inner monologue sometimes switching between English and French. “I can’t speak coffee until I have French”—a Becky Beloin original. 7. The license plate game takes a fun, new twist. Road trips in the U.S. meant looking for license plates from different states and competing to find the plate from the furthest distance away. Now we look to see how many countries we can rack up in a trip. In one weekend trip we saw license plates from at least eight different countries—the furthest being from the Netherlands. 8. Major brands from your home country may show up in stores with flavors or products you’ve never seen before. 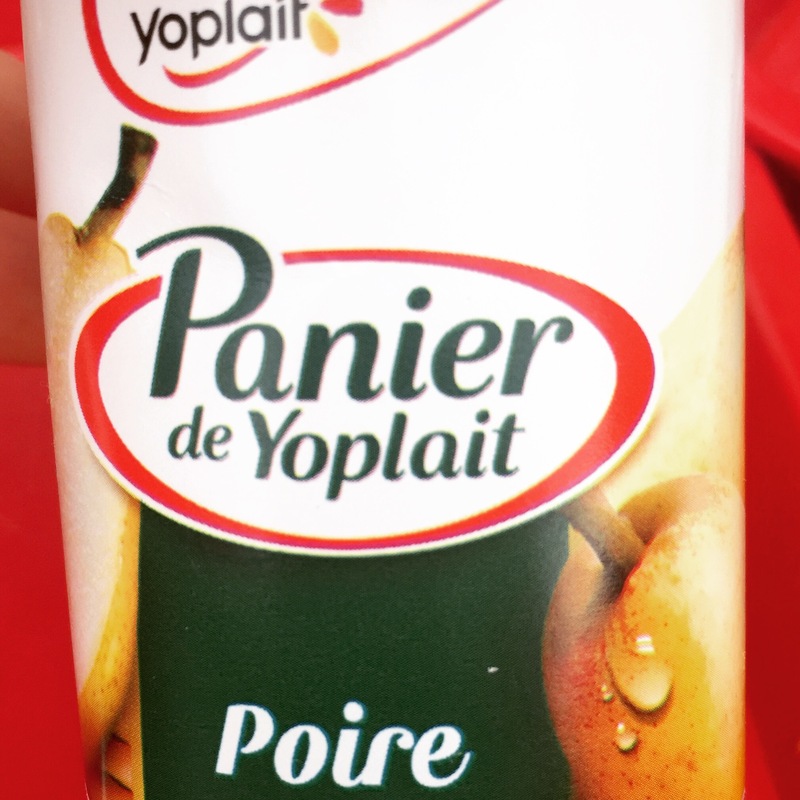 Recently I discovered pear yogurt from Yoplait. It was lovely and lightly sweet and a flavor I’d never seen at the grocery stores near me in the U.S. While we are discovering many great new brands (and a plethora of amazing local products), it’s always fun to see what familiar brands sell in other countries. 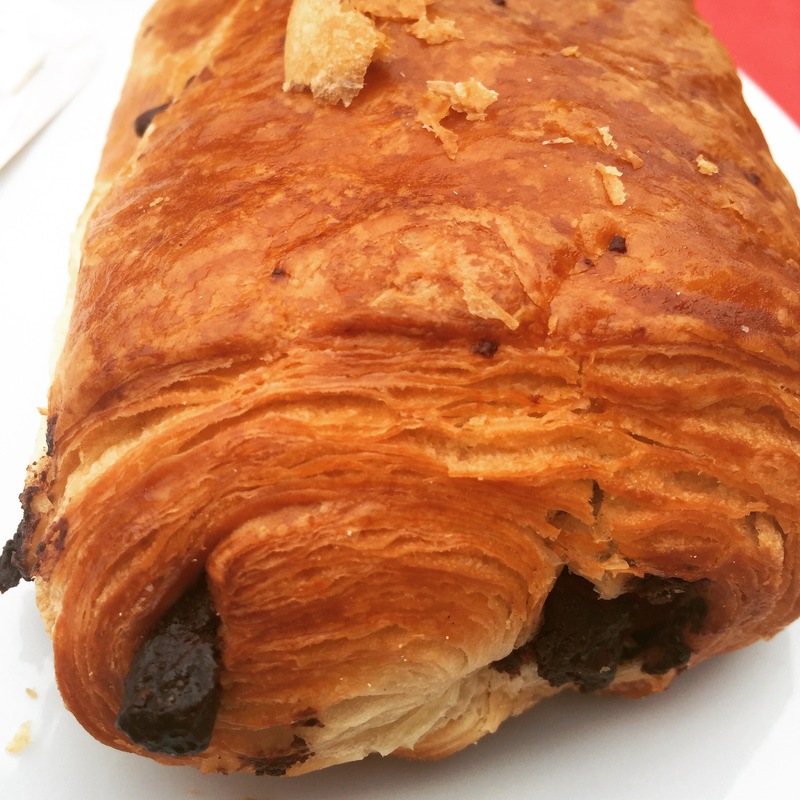 Here’s another one for you: pain au chocolat at McDonalds! Pain au chocolate–not from McDonald’s (I think). 10. There’s no place like home, but home now takes on a different meaning. People often ask us where we are from and Matt and I look at each other, grin and say, “ummmmmm.” The question of home and belonging becomes complicated. 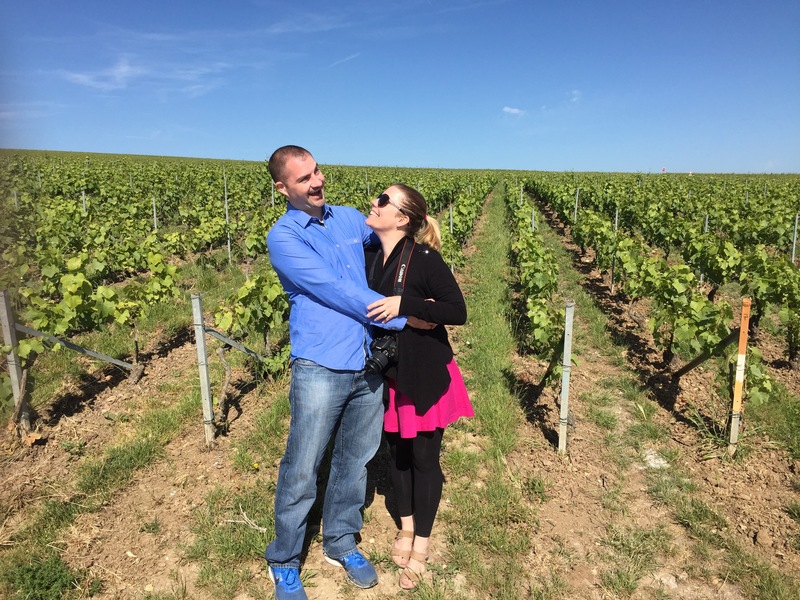 We are most recently from Atlanta but have roots in Ohio and Connecticut and now live in Toulouse. After almost two months here, Toulouse is starting to feel like home, but we know this is only temporary and we will have to move again in a few months. So, cliché as it sounds, home really is wherever Matt and I are together. Yes, we now live in a vineyard (or, at least that’s where we want to live).